The deteriorating condition of the NHS; is there a long term solution? Joanna Jenkins considers the current ‘crisis’ conditions in the NHS and the recent comments made by Sir Robert Francis QC. On a recent edition of BBC’s ‘The Andrew Marr Show’, Sir Robert Francis QC stated that current conditions in the NHS ”sound familiar” to those that existed during the Mid-Staffordshire scandal. The barrister, whose 2013 report uncovered extremely poor care in Mid Staffordshire, said the pressures the health service was under were “pretty bad” and considering the extent of patient suffering found at that time, the present comparison is very worrying. Targets to see patients needing routine surgery within 18 weeks was missed for the second month in a row. With targets constantly being missed, it is not surprising to see that pressures within the NHS are leading to standards of care falling well below target. Inevitably, changes are required, but what changes would provide the best long term outcome? It is clear that the present situation is not going to be changed easily, and several suggestions have been made for proposed improvements and costs savings. For example, the recent announcement by Health Secretary Jeremy Hunt detailed the potential fixed costs regime for clinical negligence cases, for all claims worth up to £25,000 in compensation. Alternatively however, the NHS Litigation Authority (NHSLA) wants fixed costs for cases to be for all cases worth up to £100,000. Will fixing costs lead to better overall care, or will it primarily just reduce the current NHS bill? 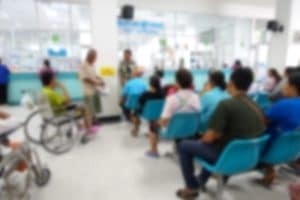 Whilst in the short term, implementation of fixed costs at any limit will likely reduce the NHS bill from negligence claims it will not in itself reduce the number of patients who suffer from negligent care. Reducing costs does not ensure learning from claims to prevent future incidents. The focus should be on investing in better NHS care by providing better training, improving technology, increasing bed space and implementing robust procedures which will ultimately reduce the numbers of claims and in turn the amount of compensation and costs paid out. There needs to be a serious discussion about how the NHS can go forward and get to a place of providing consistently good healthcare. If this does not happen then patients, and NHS staff, will continue to suffer and this can not continue.